Community Ventures has the interests of the whole community at heart and we aim to provide ground breaking and inspiring community development services. Here at Community Ventures we specialise in working in partnerships and community engagement. We have a track record of hosting, developing and delivering pioneering services tailored to meet the needs of communities, statutory organisations and business. We apply our evidence-based approaches that focus on the strengths, skills and assets that lie within our neighbourhoods. With our guidance, approaches and experiences we can help you to create the conditions needed to reduce health inequalities and to transform disadvantaged communities into neighbourhoods that can venture into brighter futures. We are a team of community development workers who are passionate about supporting people to make a big difference where they live, work and grow. 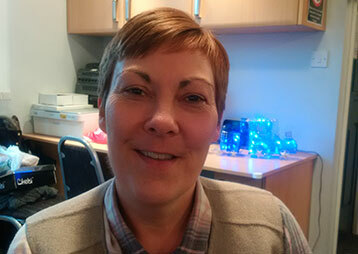 Gill has been a Community Development practitioner for seven years working in disadvantaged areas within Stoke on Trent. Within a team she works in partnership with C2 Connecting Communities using the bottom up asset based approach to empower , connect and deliver effective community led neighbourhood partnerships. Nominated as a team for the Innovation in Action Award 2014 for Provider Collaboration. 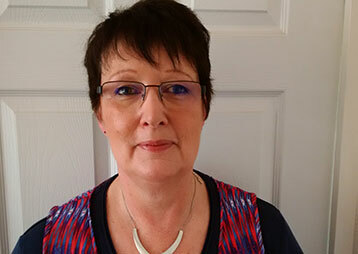 Over the past twenty years she had volunteered for local charities, worked as a teaching assistant in Primary schools, taught adult learners and worked within neighbourhood management. She enjoys exploring communities and mapping out the talents of individuals, their abilities and then nurturing and developing these to help create stronger and more cohesive communities. Lisa is a Community Development Practitioner. Currently working with colleagues on the My Community Matters programme in Stoke on Trent commissioned by Stoke on Trent City Council Public Health Department. For the past seven years Lisa has worked alongside community members, groups and agencies using an asset based approach to community development. In her experience this way of working helps to support and encourage local residents to bring about positive changes that impact on both theirs and the wider communities health & wellbeing, whilst creating a neighborhood where they all want to live and work. 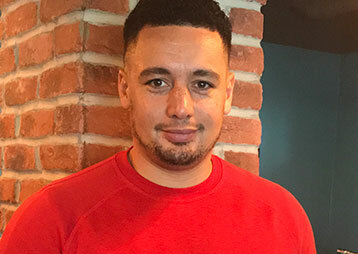 An experienced specialist in community development and engagement contributing heavily towards the delivery of Public Health programmes in disadvantaged communities in the city of Stoke on Trent. Able to combine practical participatory research tools and asset based approaches to establish community needs, before creating and implementing bespoke sustainable community projects which include successful fundraising strategies and effective partnerships with both statutory and voluntary community services. Enjoying the apron decorating session. Another great afternoon with the group, come along and enjoy in. At Dresden Scout Hall every Thursdays 12-2pm.